(i) Pricing of services commensurate with costs. (ii) Suggest measures for enhancement of Non Fare Revenue. (iii) Protection of consumer interests, by ensuring quality of service and cost optimization. (iv) Promoting competition, efficiency and economy. 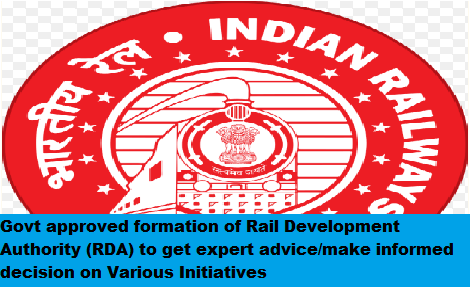 (v) Encouraging market development and participation of stakeholders in the rail sector and for ensuring a fair deal to the stakeholders and customers. (vi) Creating positive environment for investment. (vii) Promoting efficient allocation of resources in the Sector. (viii) Benchmarking of service standards against international norms and specify and enforce standards with respect to the quality, continuity and reliability of services provided by them. (ix) Providing framework for non-discriminatory open access to the Dedicated Freight Corridor (DFC) infrastructure and others in future. (x) Suggesting measures to absorb new technologies for achieving desired efficiency and performance standards. (xi) Suggesting measures for human resource development to achieve any of its stated objectives.